If you remember back in July I shared some fun patriotic peppermint patties created by the very talented Haniela. She has gotten into the Halloween spirit and shared a sneak peak of her candy corn peppermint patties on her Facebook page! My kids are going to love these. I am going to love these!! 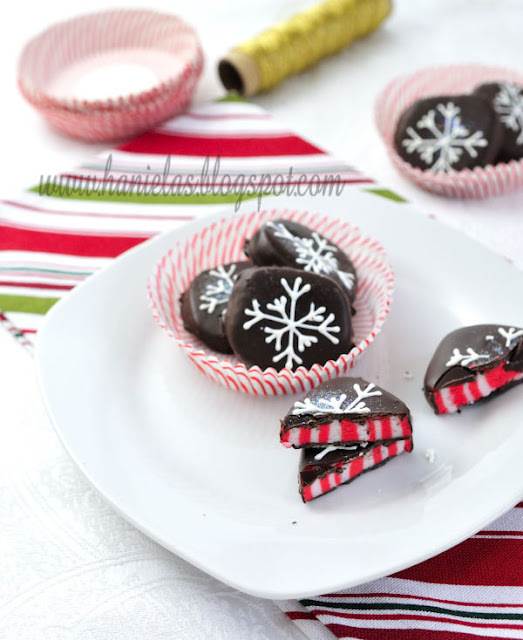 She will be sharing the tutorial for these soon, but you can check out the recipe and technique she used in her candy cane peppermint patties tutorial.